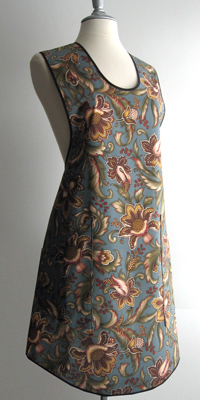 Katherine is an elegantly simple apron that has returned by popular demand. It requires no tying, but simply slips over the head. Adjust into place by shoving your hands in the deep pockets, and you're ready to go! The Katherine is incredibly cute as well as practical. One size fits most. 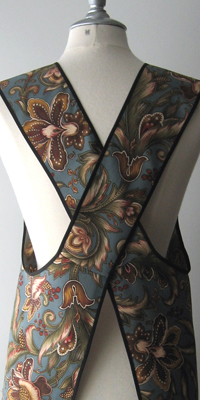 Katherine Apron in Blue Botanical Fabric.